I made the smooth contours blind (without looking at the paper), but I knew that I would have to look when I drew the fingers of the hand. 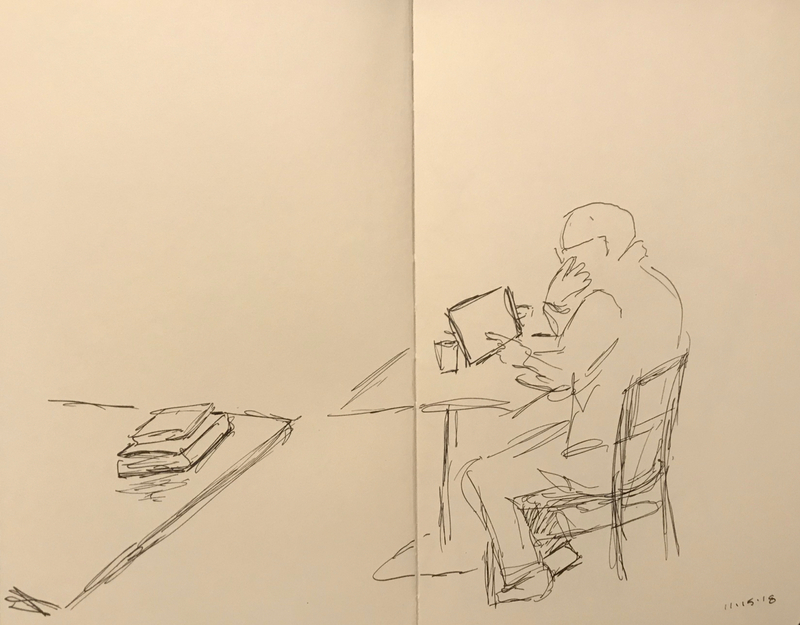 This entry was posted in Personal Stories and tagged art, artistic expression, blind drawing, contemplation, drawing, hand, pen and ink, portrait, sketch, smooth contours. Bookmark the permalink.